Home of the fastest growing Dingwall dealer in the US! 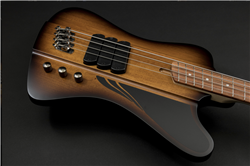 We have many Dingwall basses on order, but they are currently selling as fast as they are coming in! Call us today, to insure delivery of your new Dingwall! Dingwall D Bird Standard in Matte Vintageburst, 3 pickups, Maple Fretboard, and Matching Headstock. Call to reserve this one now! Dingwall case or gig bag optional. 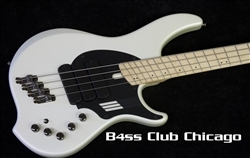 Dingwall NG3 4 string in Ducati White - IN STOCK! Dingwall NG3 4 string Ducati White, 3 pickups, maple fretboard, and matching headstock. Dingwall case or gig bag optional. Dingwall NG3 5 string Ducati White, 3 pickups, maple fretboard, and matching headstock. Dingwall case or gig bag optional. Dingwall NG3 Laguna Seca Blue - NOW IN STOCK! Dingwall NG3 5 string Laguna Seca Blue , 3 pickups, maple fretboard, and matching headstock. Dingwall NG3 5 String Metallic Black - ON ORDER! Dingwall NG3 5 string Metallic Black, 3 pickups, maple fretboard, and matching headstock. Dingwall case or gig bag optional. Dingwall NG3 5 string Mopar Purple - SALE PENDING! Dingwall NG3 5 string Mopar Purple, 3 pickups, maple fretboard, and matching headstock. Dingwall case or gig bag optional. Dingwall NG3 Ducati White Swirl - SALE PENDING! Dingwall NG3 5 string Ducati White Swirl, 3 pickups, maple fretboard, and matching headstock. Dingwall NG3 5 string Laguna Seca Blue Swirl, 3 pickups, maple fretboard, and matching headstock.